Welcome to the website of the MVT's South East Midlands Area. Our members look after and restore a whole range of ex-military vehicles with both UK and overseas origins. 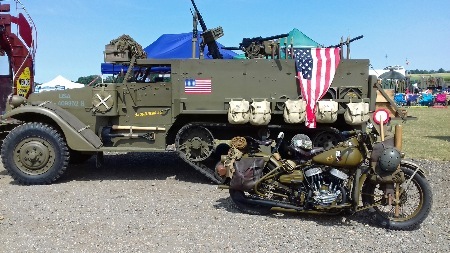 Vehicles include the well known Jeep through to tanks, transporters, lorries, Land Rovers, motor bikes, the humble folding bicycle and range from pre-First World War to the present day. Local areas hold informal monthly meetings that provide a forum for members to discuss just about any topic they want. Wherever you are, you can be sure there is another member who can help or who knows someone who can. 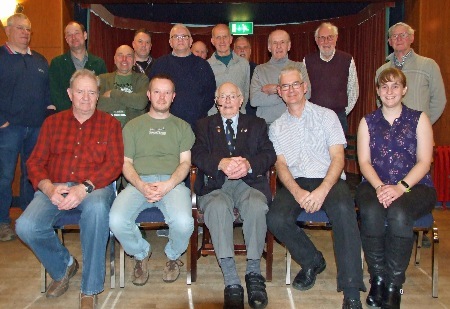 JFC Chicksands is putting together a dinner night Chicksands on June 13, 2019, to mark the 75th anniversary of D-Day. 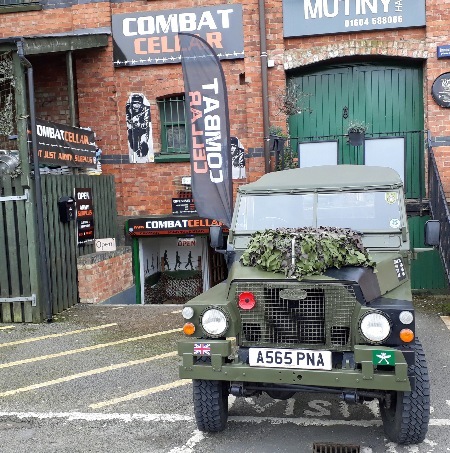 They have requested any support/assistance that our members may be able to offer to mark the occasion with the presence of a couple of era vehicles to stand outside the Mess, to the front and potentially in the rear garden area. They would present a magnificent backdrop for arrivals on the night and offer a perfect backdrop to the photographer on the night taking photos of the attending guests (approx 180-200 military personnel and their partners). They have also invited the three surviving D-Day veterans who are currently resident at the Royal Hospital Chelsea to attend the evening as honoured guests.JFC Chicksands would provide food and refreshments and cover any costs associated with supporting the event, but will be bound by a budget (yet to be determined by the Mess Manager!). If you are interested, contact Tim Hawkes. The Royal British Legion in Northampton is organising a “Saying Thank You” event on Saturday, September 1, at Becket's Park, Northampton, and has requested MVs. Here are the details: Arrive at/before 10.30am; 6pm finish; organiser: Russ Barrie – 07816 649 097. Message from the Bedford RBL: I am the DPAO for Royal British Legion, Bedford. On August 12th we are holding an annual Poppy Walk for Honour at Priory Country Park, Bedford. As it is the centenary of the end of the first world war, we are focusing on Bedfordshire and the Home Front as well as the forces. 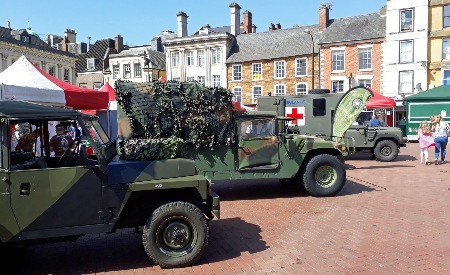 We have a few attractions booked including a brass band, singers, fairground ride etc, but are hoping to find someone who would be willing to bring a military vehicle/vehicles for the public to see (and possibly collect donations for RBL) please. Around 100 members and guests crowded into the Cirrus Room at The Aviation to hear our guest speaker World War Two Lancaster pilot Rusty Waughman, of 101 Special Duties Squadron, RAF. Report and pictures in the Area Minutes section. Secure vehicle storage for vehicles up to GMC lorry size is available at Rushden. Please contact Gary Stock if you are interested on 07850 401271. THE MVT's Council of Management meeting in February agreed to start a Facebook page. 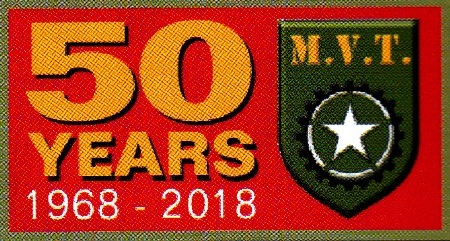 There were some concerns about this in terms of the reputation of the MVT but it was thought that members would do their best to ensure that the page is fun, interactive and above all useful for the members of the MVT and potential members. Please encourage other members to join! We want to know what South East Midlands Area members have lurking in their garages and sheds, so please send us a picture and short write-up of your green machine. We'll put them on the Members' Vehicles section. Email the webmaster at petegerry@btinternet.com and attach a jpeg picture. Or you could bring along a photograph and description to a monthly meeting. An Army surplus and military clothing and equipment store in North- ampton is offering a 10 per cent discount for MVT members on production of your member- ship card. 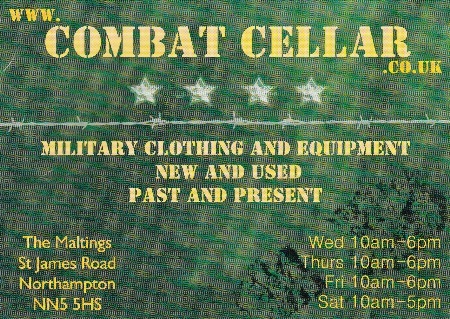 Combat Cellar is in The Maltings, St James Road, which is part of the Westbridge filling station and taxi compound, just down the hill from Northampton Station. There is parking right outside.